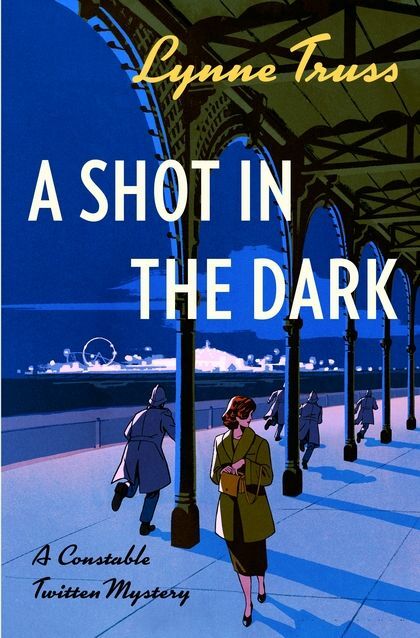 A wryly entertaining new crime novel from Lynne Truss, New York Times bestselling author of Eats, Shoots and Leaves.It's 1957, and the famed theater critic A. S. Crystal has come to the British seaside resort of Brighton with something other than the local production of A Shilling in the Meter on his mind. Sitting in the Brighton Royal Theater with Constable Twitten, Crystal intends to tell the detective the secret he knows about the still-unsolved Aldersgate Stick-Up case of 1945. And yet, just before Crystal names the criminal mastermind involved, he's shot dead in his seat. With a new murder case on his hands and a lazy captain at the helm of the police department, the keen and clever Constable Twitten and his colleague Sargent Jim Brunswick set out to solve the decade-old mystery of the Aldersgate Stick-Up. As the partners venture deep into the criminal underworld that lies beneath Brighton's holiday-happy veneer, they begin to discover a criminal conspiracy that dates back decades. But will Brunswick and Twitten be able to foil the mastermind, or will Crystal's death become just another unsolved crime in this seemingly peaceful seaside city? With her characteristic wit, New York Times bestselling author Lynne Truss introduces readers to a cast of eccentric policeman and scheming criminals in a drolly delightful mystery you won't want to miss.